At the crossroads between Alameda County and Silicon Valley is Newark. 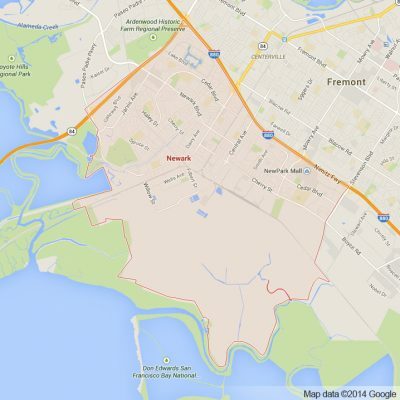 This East Bay enclave is surrounded by Fremont and acts as the gateway to Silicon Valley from the East Bay. 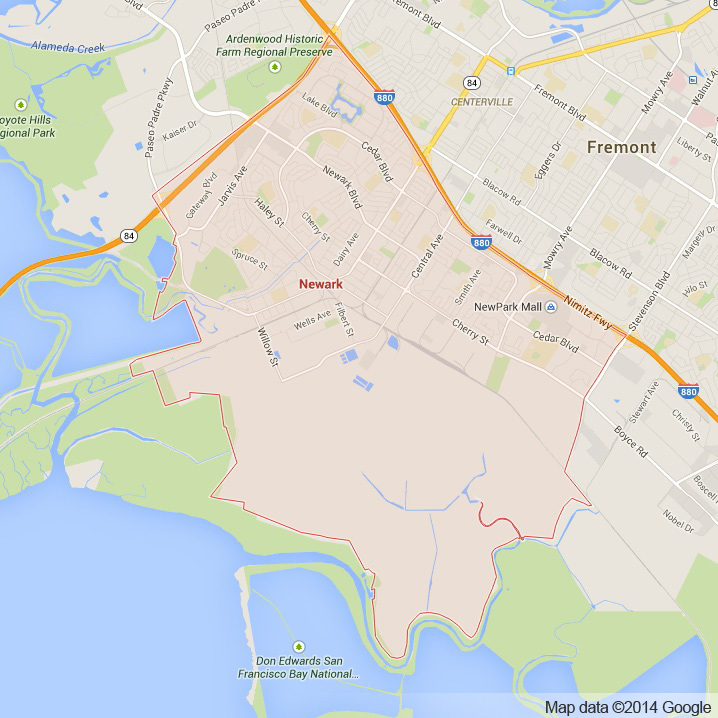 Newark is a classic East Bay town with a beautiful surrounding of rolling, lush foothills. This natural setting like others in the Bay Area is complimented with a wide range of parks. There are over thirteen different parks and play facilities that are available to residents and visitors of all ages. This network of outdoor and indoor recreation areas are perfect for nearly any occasion. While still in the Southern regions of Alameda County, Newark is imbued with the technological and innovative culture of nearby Silicon Valley. Home to corporations such as Logitech, The Pacific Research Center and SMART Modular Technologies give Newark the best of the East Bay and Silicon Valley. Newark is also home to the super regional shopping center Newpark Mall. With over 140 retailers this mall is a premier destination for shopping and attracts visitors from all over the Bay Area. With many different destinations to choose from, Apex Limousine Transportation is proud to offer comprehensive luxury limo transportation services to visitors and residents of Newark alike. Our luxury limo fleet of vehicles and professional limo drivers are perfect for nearly any occasion imaginable. If you are looking for a sedan transportation or limo pick up or drop off at one of the Bay Area’s major airports (OAK, SFO, SJC) or need a pristine limousine for your child’s junior prom, Apex Transportation is here. Our limo drivers are committed to timeliness as much as they are to ensuring your absolute comfort. This combination sets Apex Limousine Transportation above the rest. We specialize in comprehensive wedding services and Napa Valley Wine Tours. We understand how complicated planning a wedding can be. For this reason we work directly with couples, families and wedding planners to ensure that our services perfectly compliment this very special day. For those residents of Newark looking to experience one of the most impressive and exciting destinations in Northern California, we offer comprehensive Napa Valley Wine Tours. Our experienced and professional limousine drivers take you and your party to a number of wineries of your choosing in the Napa Valley. Our knowledgeable drivers are also more than capable of customizing an adventure for you. There is no better way to enjoy the beautiful scenery and delectable wines than through the comfort of an Apex limousine vehicle. Residents and visitors to Newark agree that Apex Limousine professional drivers and state of the art limo vehicles are unmatched anywhere else. With a consistent record of timeliness and reliability, Apex Limousine Transportation continues to be Newark’s number one luxury transportation provider. Join us and together we can make your next outing or event one you will never forget. Please call us for car service all inclusive total for Newark to/from Napa Valley transfer.